Everybody wears flip flops and leaves them at the door when they enter a house. Often there are many slippers outside a house if people are visiting. We made flip flops out of sheets of handmade paper which have different plant materials from the area embedded in them such as grasses, banana leaves and rice. The paper was beautiful and is made at a small workshop nearby. 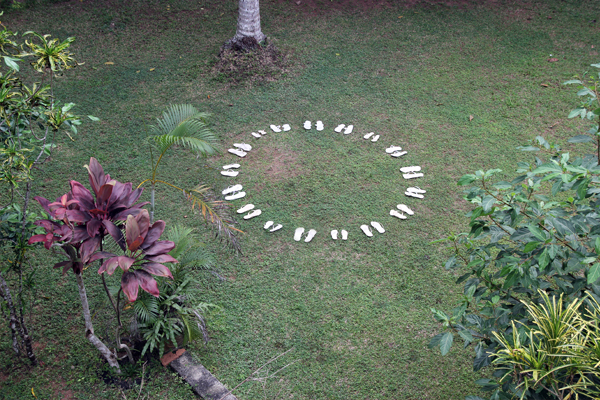 We experimented with the shoes in different formations using them to mark public spaces in the village.